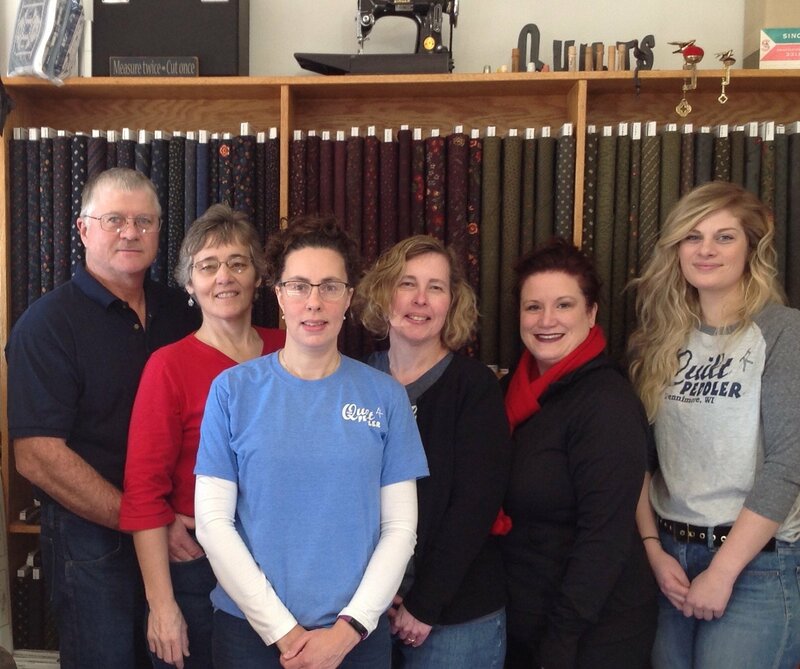 The Quilt Peddler opened on highway 18 on the East side of Fennimore in 2013 with a goal to provide our Fennimore community with a wide range of high quality cotton fabrics. We have grown to nearly 10,000 bolts of new lines and collections to choose from with new fabric coming in daily. We have sewing notions, and quilting supplies to inspire creativity and help sewing and quilting enthusiasts finish their favorite projects. We also have a list of longarm quilters throughout the region . As an authorized dealer for Janome, we offer a full line of sewing machines, along with an assortment of parts and accessories. We also stock an intriguing selection of collectible antique Singer Featherweights, dating from 1935 to 1964, that still sew a perfect straight stitch! Located on Highway 18 East, The Quilt Peddler features a large retreat area where you and your friends can host quilting or crafting events. We also have a rustic log cabin retreat center just 2 miles from the quilt shop. As a destination quilt shop, we pride ourselves on the quality of our service. Our friendly, knowledgeable staff members go out of their way to make customers feel welcome, whether they're browsing our new fabric collections, joining us for a class, looking for a new sewing machine, or purchasing some of our pure raw local honey.